On the bright side, the book is written in an unusual way, full of graphics and photos of an oriental martial arts movie, in an attempt to make reading the text, seem like fun. The book is full of exercises and questions to help the reader to memorize whatever is important for passing the exams. The text is clear, easy to understand most of the times, with the exceptions of the chapter about patterns and custom tag development. There also many typographical errors in the text and the questions as well. One should consult the huge error page at O'Reilly. On the dark side, there is no hands on coding practice, the examples mentioned are deliberately simple, about cats and dogs, or outdated (struts) so that you can not easily reuse any source code from the book. This is no reference book either, as stated by its authors. 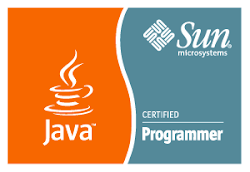 All in all, the book prepares you well for the Sun J2EE 1.4 exams, servlet v2.4, jsp v2.0, in a straightforward and funny way, but it certainly needed a greater update on older themes and addition of newer, such as jsf.